Our 2019 workshop will be Martin Luther King Day weekend, Jan 19-20, 2019. Thanks to all who attended our 2018 workshop. Join us Jan. 19-20 in Lexington for our 2019 event. Sign up for one class or sign up for them all! Class prices are listed below by individual class or as a bundle. Friday classes are per class. Registering for the bundle (Saturday only or Saturday/Sunday) saves you money — the warm up and refresh & review classes are included in the bundles at no additional cost. Mary Beth Taylor brings more than 20 years of experience teaching traditional Irish percussive dance to Central Kentucky for a weekend workshop January 19-20, 2019. Photos courtesy of http://www.irishdancedublin.com/ by Silvia Vitali. The child of an Irish mother and an American father, Mary Beth grew up in Marietta, Georgia. A dance enthusiast from a young age, Mary Beth did ballet and tap for many years before discovering Irish dancing. Starting at the age of 15 with the Mulligan School of Irish Dance in Marietta, Mary Beth soon progressed to Championship level and competed at feiseanna and Oireachtasi throughout the United States. Upon moving to Athens, Georgia, to pursue her undergraduate studies at the University of Georgia, Mary Beth started her first Irish dancing class at age 19, and taught there until graduation. After moving to Washington, D.C. for work, Mary Beth began dancing with the Culkin School of Traditional Irish Dance, and continued to compete and perform. Mary Beth moved to Ireland two years later to pursue a master’s degree in Anglo-Irish Literature and Drama at University College Dublin. Under the guidance of Mollie Farrelly, ADCRG and Claire Keane Aherne, ADCRG, she studied for her exams to become formally qualified in teaching Irish dancing. In Belfast, in 2005, Mary Beth successfully passed her TCRG exams on her first attempt. Mary Beth started learning sean-nós dancing in Dublin in 2003. She was very luck to learn from a variety of talented teachers from all over Ireland, including Máire Áine Ní Iarnáin, Sibéal Davitt, Mairéad Casey, Rónán Reagan, Paul Moran, Emma O’Sullivan, Róisín Ní Mhainín, Bronach O’Neill, and Gerard Butler. After traveling to different festivals and workshops throughout Ireland, Mary Beth began to develop her own steps and style. 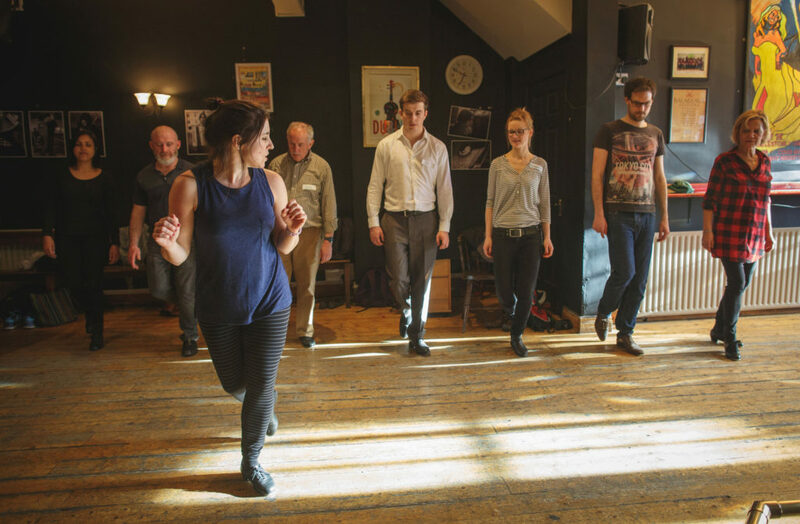 Drawing from her background in Irish dance instruction, she began teaching sean-nós dancing in Dublin in 2005. Mary Beth is a two-time recipient of the Arts Council of Ireland’s Deis recording award, and is the creator of two popular instructional DVDs, Sean-Nos Dance for Everyone (2011) and Sean-Nos Jigs for Everyone (2012). In 2012, she was honored to be featured in the Aer Lingus Cara magazine as one of the ‘Top Six’ featured performers in the world of modern Irish dance (Dec 2012). As the director of Irish & Sean-Nos Dance Dublin, she teaches weekly classes in both Irish dancing and sean-nos dancing in Dublin city, and frequently travels to deliver sean-nos workshops to lovers of Irish culture and dance around the world. The Bluegrass Irish Society provides a focal point for those interested in Ireland and her traditions. Incorporated as a public, charitable and educational organization and a section 501(C) (3) corporation in September 1980, the society is best known for sponsoring the yearly Alltech Lexington St. Patrick’s Parade and Festival has promoted Irish culture in Central Kentucky. 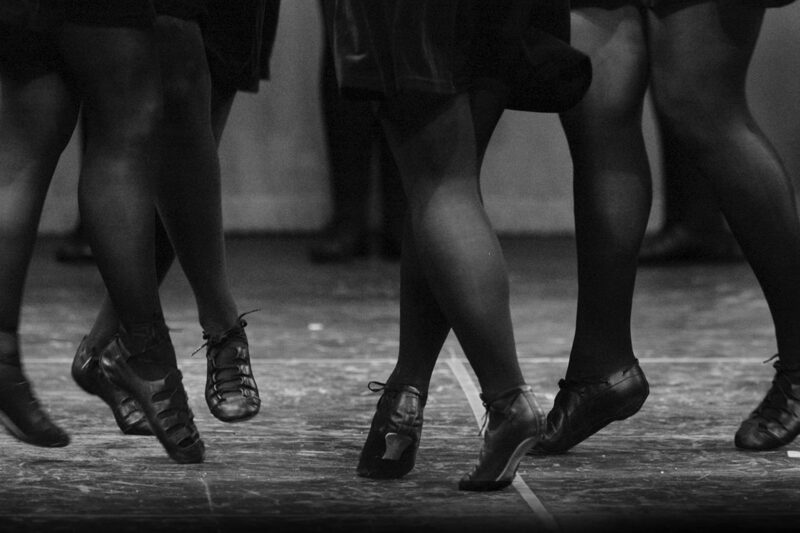 Founded in Lexington in 2015, the Bluegrass Ceili Academy brings more than a decade of Irish dance teaching experience and ceili expertise to Central Kentucky. With classes for adults and children, Bluegrass Ceili Academy is giving back to our community, and living our mission by providing a supportive learning environment for dancers of all ages and skill levels. For more than 20 years, the McTeggart Irish Dancers have been teaching in Central Kentucky. The school’s mission is to build healthy bodies through traditional Irish dance, cultivate confident spirits through accomplishment, and foster a sense of heritage through cultural enrichment and community service.